In this show I have the ultimate privilege of interviewing a home business entrepreneur, dad, and family man by the name of Salvador Posada. Salvador has spent years honing his craft of copywriting by studying the greats like Dan Kennedy, David Ogilvy, Gary Halbert, and more. 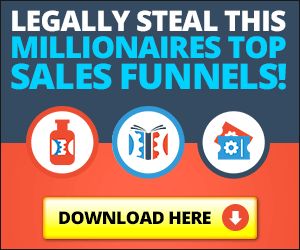 In this interview he shares his secrets on how to use copywriting in your network marketing (or internet marketing) business to help you get more leads and drive more sales in your business. Listen in for some of the best copywriting tips and tricks of 2015! Salvador's professional thoughts on copywriting and its importance in any business today. Salvador's thoughts on outsourcing your copywriting tasks and whether or not you should do it. The most important aspects of copywriting and where to focus your efforts. How the network marketing industry was changed forever by copywriting. The best copywriting resources to follow to help you hone your writing skills and become a master sales tactician. Some of the links above are affiliate links. Should you choose to make a purchase beyond accepting a free offer it will be of no additional charge to you. I will also be extremely grateful!